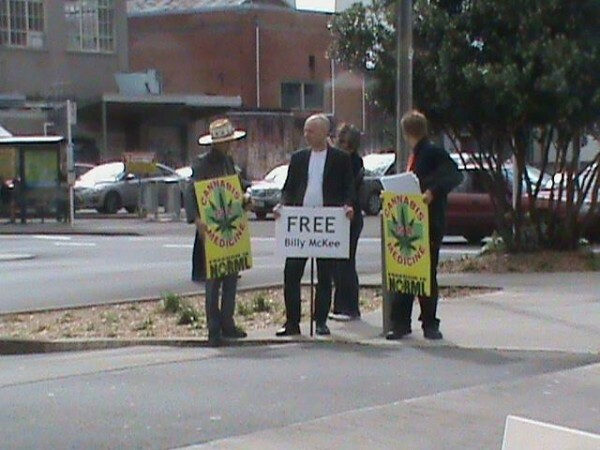 A prominent proponent of medicinal marijuana has been sentenced to 12 months’ home detention after being caught in an undercover police sting. William Duffield McKee, 58, of Levin, was found guilty at a jury trial of four charges of selling cannabis and one of cultivation, and was today sentenced in the Palmerston North District Court. McKee hosted the GreenCross website, which promoted the use of cannabis to prevent medical ailments. He was targeted in Operation Relief between February 2010 and May last year – four times selling small amounts of cannabis and related material to an undercover police officer. When police searched his house on July 8 last year they found 66 cannabis plants in various stages of growth. 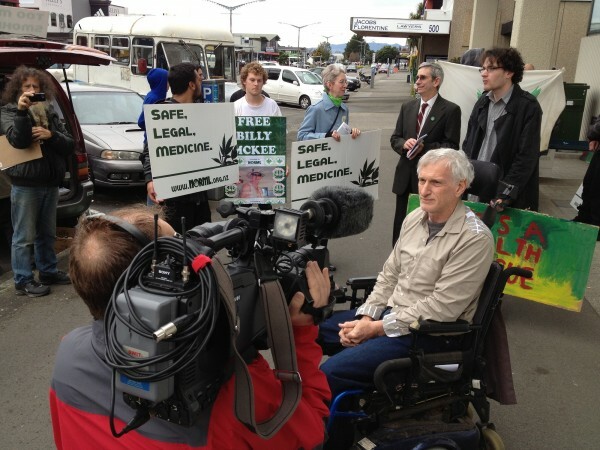 Judge Barbara Morris today gave McKee credit for saying he would no longer push for political change about medicinal cannabis by selling the drug. “You now accept that the change you seek must be done within the law and by way of submission,” she told him. McKee’s right leg was amputated five years after he was the victim of a hit and run shortly before his 21st birthday. A number of supporters watched from the court’s public gallery, and many held placards and handed out pamphlets outside the court. The “The War on Drugs™ is a war on the medically sick, waged by the morally sick. It must end. Previous PostFUCK the government!Next PostTrick or Treat. My Life’s a Halloween Party. Richard, you were on three news (at the protest). Eternal Vigilance represent!